Christmas Services In addition to the usual pattern of services there will be the following additional ones. Mon 3rd. Joint Carol Service, Mojacar Pueblo RC Church at 8.00 p.m. Sat 15th. Carol Singing, Parque Commercial. Mojacar at 11.00 a.m.
Sun 16th. 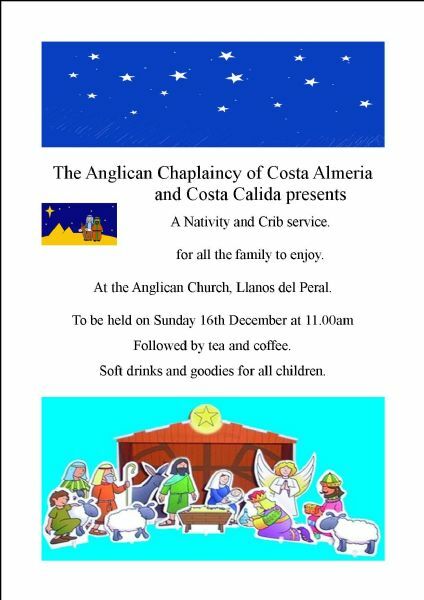 Crib Service, Llanos Church at 11.00 a.m.
Sun 16th. 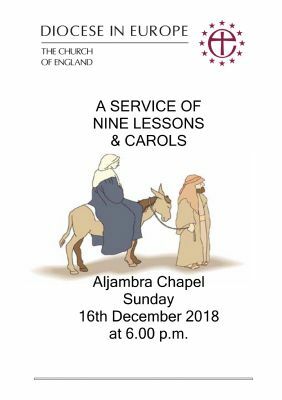 Carol Service, Aljambra Church at 6.00 p.m.
Tue 18th. 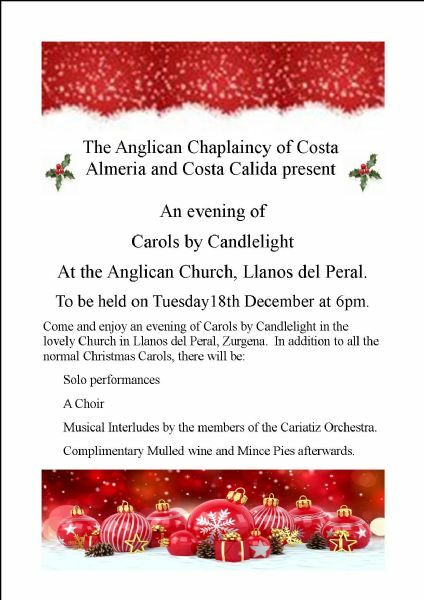 Carol Service, Llanos Church at 6.00 p.m.
Mon 24th. Christmas Eucharist Llanos Church at 8.00 p.m.
Mon 24th. Midnight Mass, Mojacar Church at 11.30 p.m.
Tue 25th. Eucharist, Mojacar Church at 11.00 a.m.